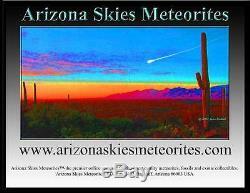 Welcome to Arizona Skies Meteoritesebay store. We have been professional meteorite, fossil and rare collectible dealers since 2003. Our Company has a wonderful selection of high quality meteorites, fossils and unique collectibles from around the world. In addition to our extensive selection of meteorites, we have museum quality dinosaur fossils for sale, as well as high quality Megalodon shark teeth, and numerous other fossils. We offer fine art, antique Japanese Samurai swords, Katanas and Wakizashi as well as rare WWII Military and Warbird Collectibles. We also offer the finest meteorite rings and meteorite jewelry available anywhere! 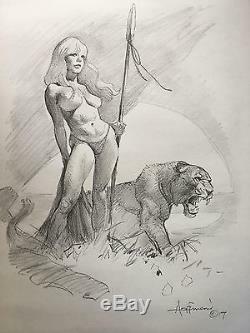 Classic Original Mike Hoffman Jungle Girl Cavewoman Pin Up Art. This classic original comic art. Is a pencil / graphite original drawing by well known fantasy artist Mike Hoffman. It is very Frazetta-esque and I really hate to let this one go, but this will make a fantastic gift or addition to someone's collection! Visible Image dimensions: 13.75" x 11". Thanks for looking and good luck! BE SURE TO VIEW OUR OTHER ITEMS BELOW FOR MORE EXCEPTIONAL PAINTINGS AND RARE COLLECTIBLES! Check out my other items. The item "ORIGINAL HOFFMAN COMIC ART ILLUSTRATION ART CAVEWOMAN JUNGLE GIRL FANTASY PINUP" is in sale since Sunday, May 21, 2017. This item is in the category "Art\Paintings". The seller is "arizona-skies-enterprises" and is located in Flagstaff, Arizona. This item can be shipped worldwide.